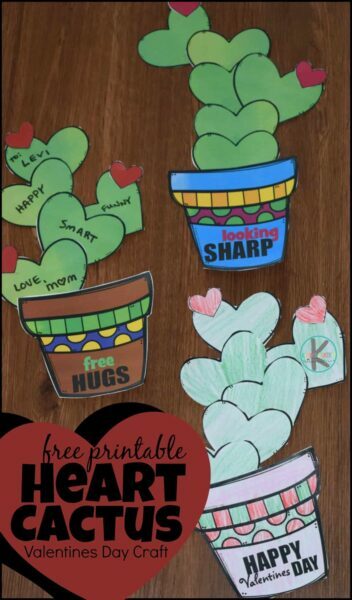 This adorable heart cactus craft is an easy-to-make Valentines Day Printable Craft for kids of all ages to make! Kids love making seasonal crafts! However it can be time consuming to not only come up with creative ideas, but gather all the supplies too. 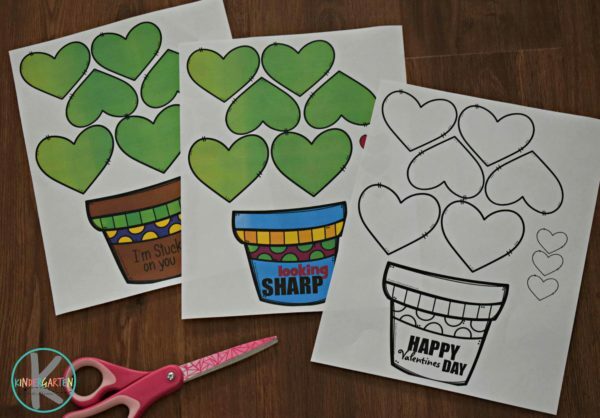 This free printable Valentine’s Day craft is not only cute, but LOW PREP too! Simply print out the page(s) you want. There are option in color, different colored pots, and various different messages. 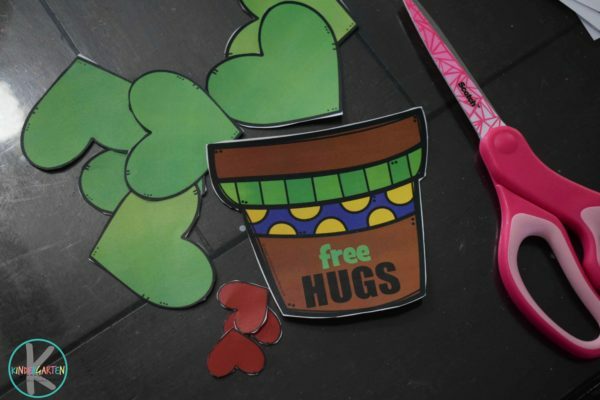 Then, cut out the pieces of your Heart Cactus Craft. There sill be 9 green hearts, a flower pot, and 3 mini hearts. 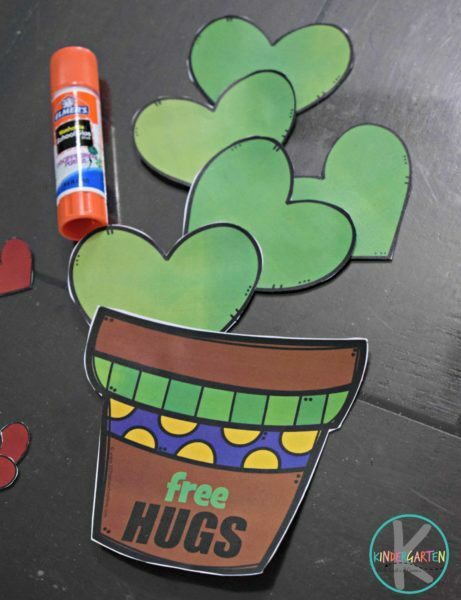 Next start gluing the heart to the flower pot and the other hearts to make the shape of a cactus. 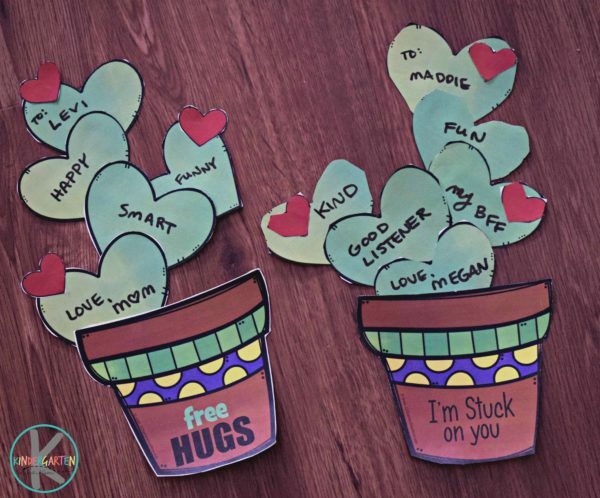 The fun thing about this preschool valentines day craft is that cactus all look different – so there is no right or wrong way to make this Valentines Day craft for kids. Finally, glue the little hearts on the cactus to make flowers on the cactus. 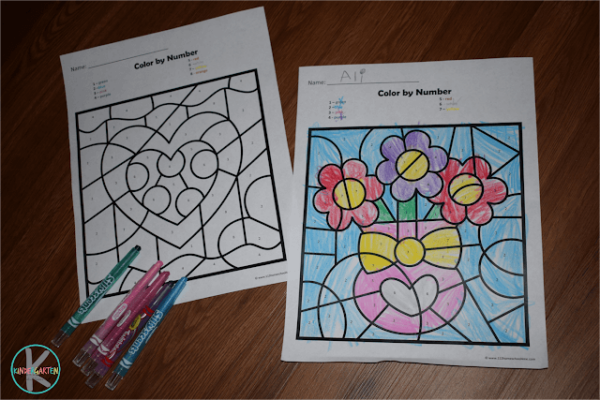 Isn’t this such a cute heart craft for kids! 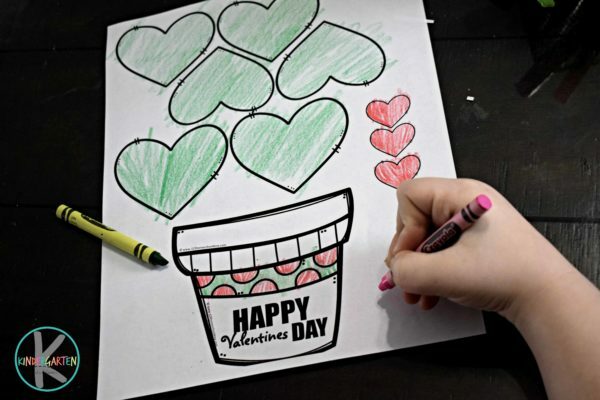 If you prefer to save on ink, you can make this easy Valentines Day Craft using our black and white printable template. Just print, have children color as they like, and then cut and assemble as described above. 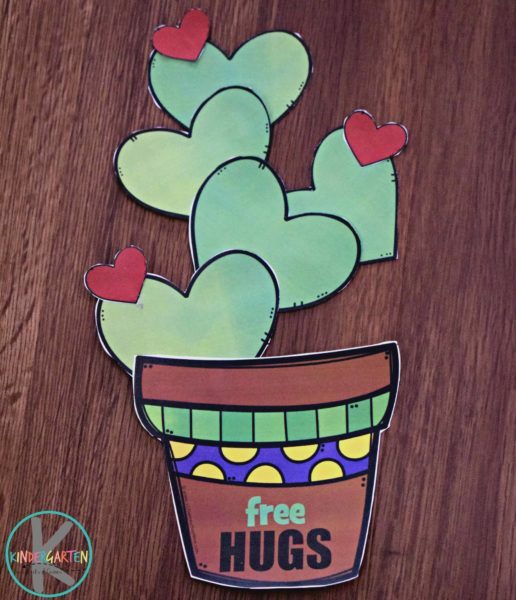 You can leave your cactus plain or add sweet notes to each of the hearts on the heart cactus. 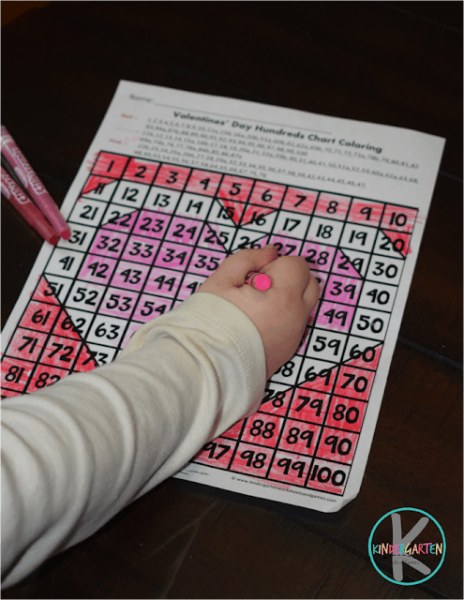 This is such a cute and fun to make February craft! You can hang this craft on the fridge, use it as a February bulletin board, or give it to friends.